When I first opened the Ray of Sunshine Stamp Set, I couldn’t see the sun, instead all I could see where chickens! Sadly though when I attempted to create what I saw in my mind, it simply didn’t happen. That was until I remembered the Circle Thinlets. This was my “Ah-Ha” Moment. Once I had my base-card the rest fell into place quickly. I even used some of the Lullaby DSP (which is ABSOLUTELY gorgeous) rather than a DSP stack I’ve fallen into the habit of grabbing. 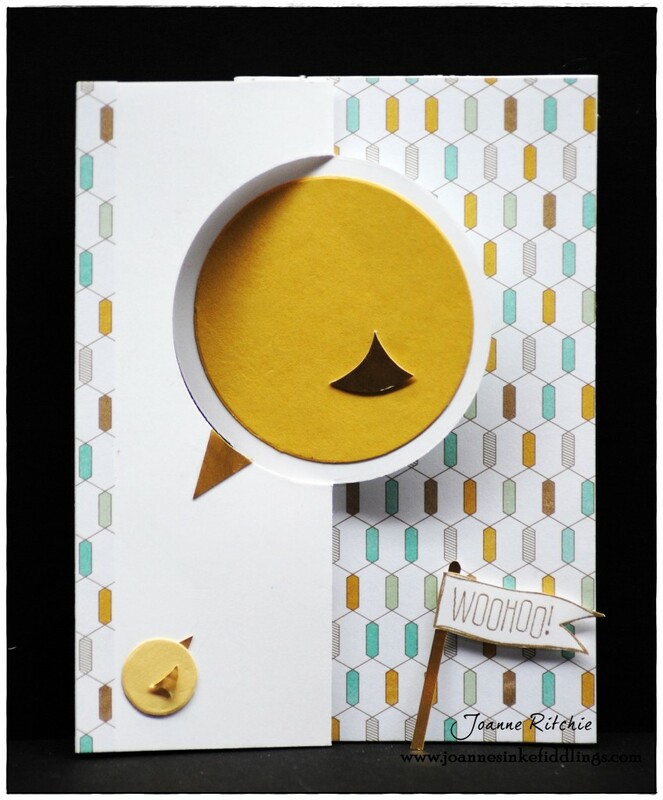 Gold Foil Paper has been used on the beaks, wings and post of the “Woo Hoo” banner from the Big News Stamp Set. I stamped the curved “sun-ray/shark-fin” onto the back of a scrap of Gold Foil Paper then cut it out to use as a wing on my Mama Bird and Baby Bird. Obviously both the wing and beak have been cut down CONSIDERABLY for Baby Bird. It’s only now that I realize that I didn’t sponge ANY of the circles, oops, next time! Inside the card looks like this. The tiny-tiny heart is from the Owl Builder Punch. How cute is this huh? Looking at the weather forecasts it looks like it’s going to be PERFECT weather for creating – may the enthusiasm be with you. And if you aren’t creating, have a wonderful time whatever it is you plan to do! You’re in shock aren’t you? Here it is lunch time and I’m already posting my version of this week’s Mojo Monday and what’s more, its tall and skinny. Yikes, never say never! 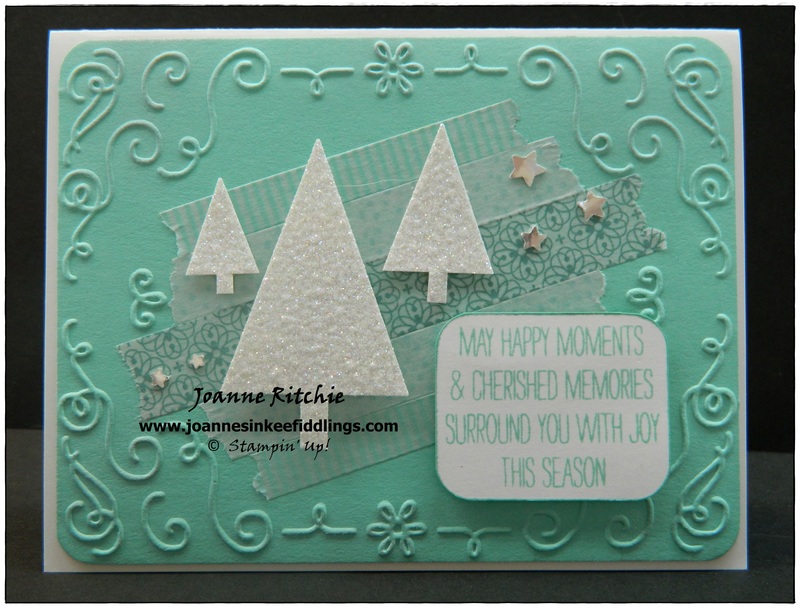 The background was my inspiration for today’s card. 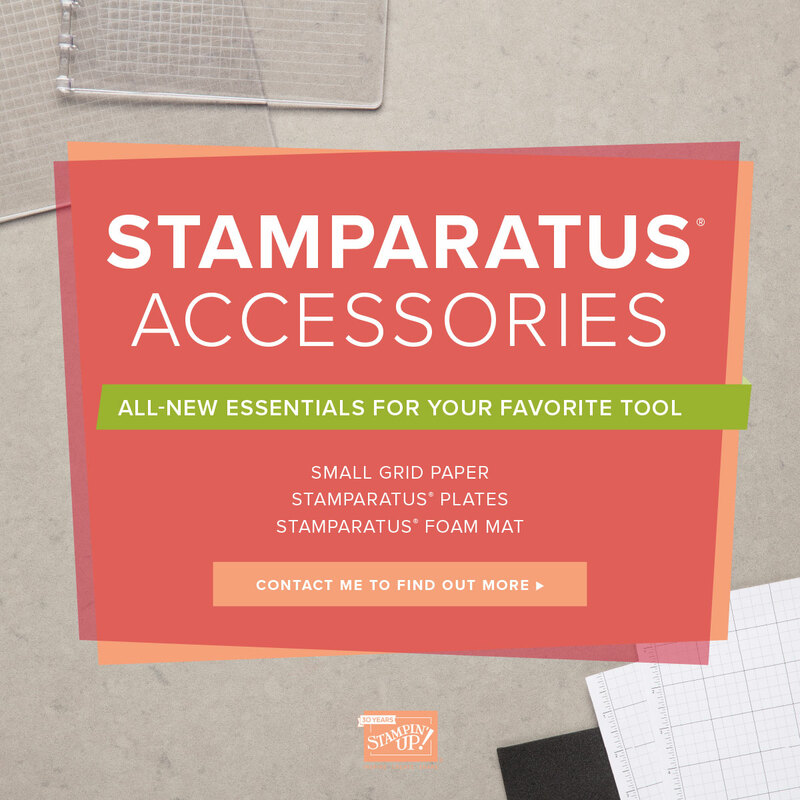 This stamp from the Gorgeous Grunge Stamp Set is what I used on the cardstock of all my pages on my 2013 Scrapbook Albums. My scratch paper was awash with the most wonderful color burst where I’d stamped off the page. 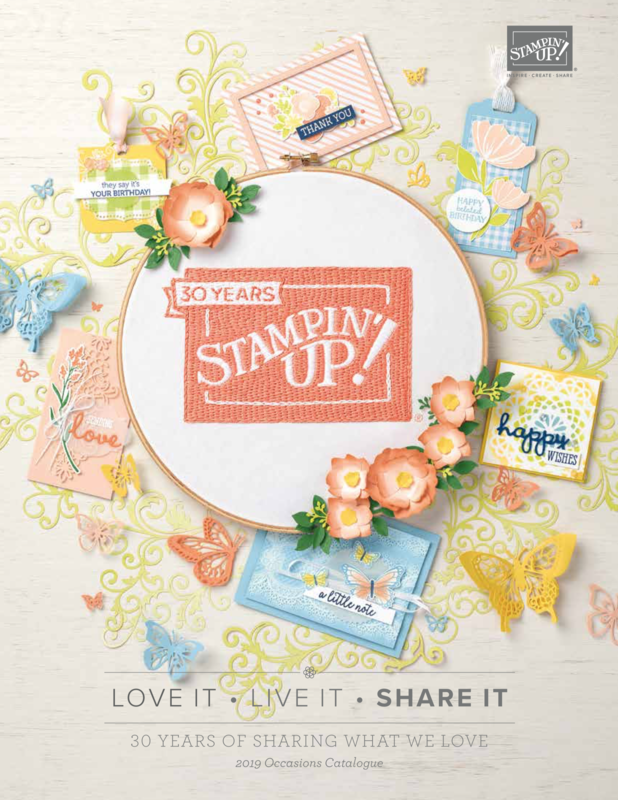 Immediately I knew I wanted to recreate this and did so with Bermuda Bay, Baked Brown Sugar and Crisp Cantaloupe Classic Inks stamped here and there on my background piece. Another stamp from the Gorgeous Grunge Stamp Set was stamped off in Coastal Cabana Classic Ink onto Coastal Cabana Cardstock. 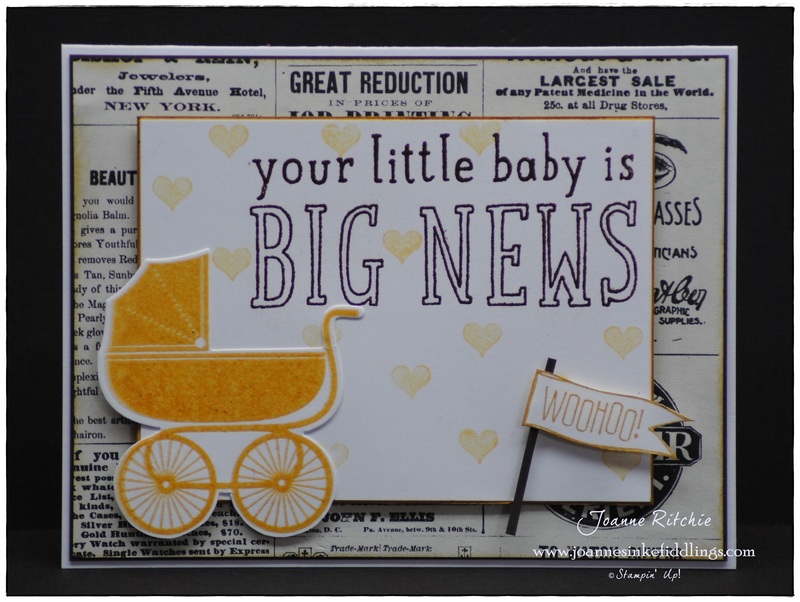 The sentiment from the Perfect Pennants Stamp Set was also stamped in Coastal Cabana Classic Ink. 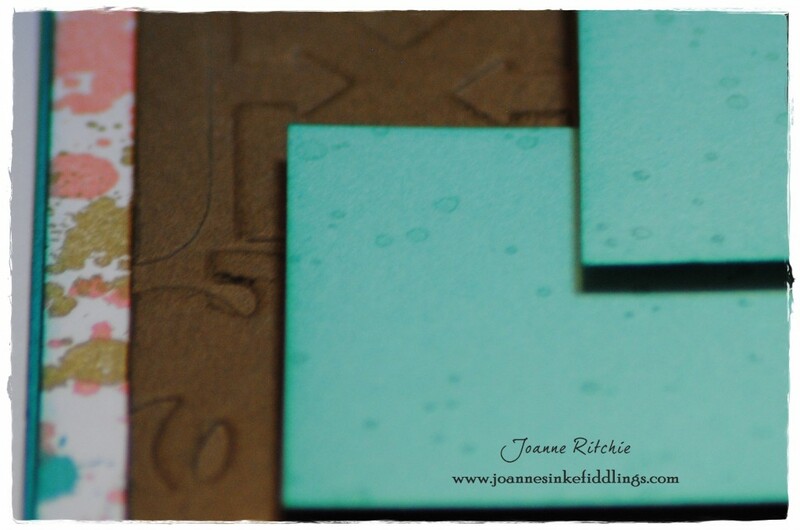 The Baked Brown Sugar Cardstock and Soft Suede Cardstock were both run through the Big Shot using the Alphabet Press Embossing Folder then both were sponged with Baked Brown Sugar Classic Ink. 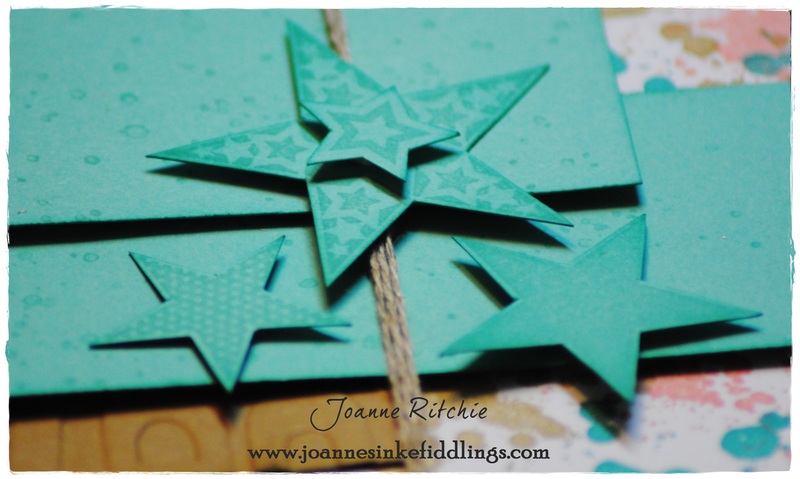 Finding something other than flowers as an embellishment is always a challenge for me but thanks to the Simply Stars Stamp Set, you may have noticed I reach for that instead now. Add a little Linen Thread and viola! 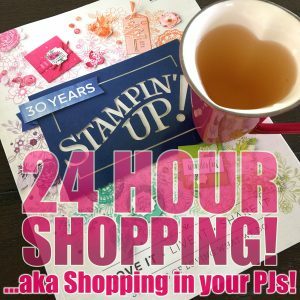 Please call me to place your order for any of the products I used today, or any other products you require from Stampin’ Up! 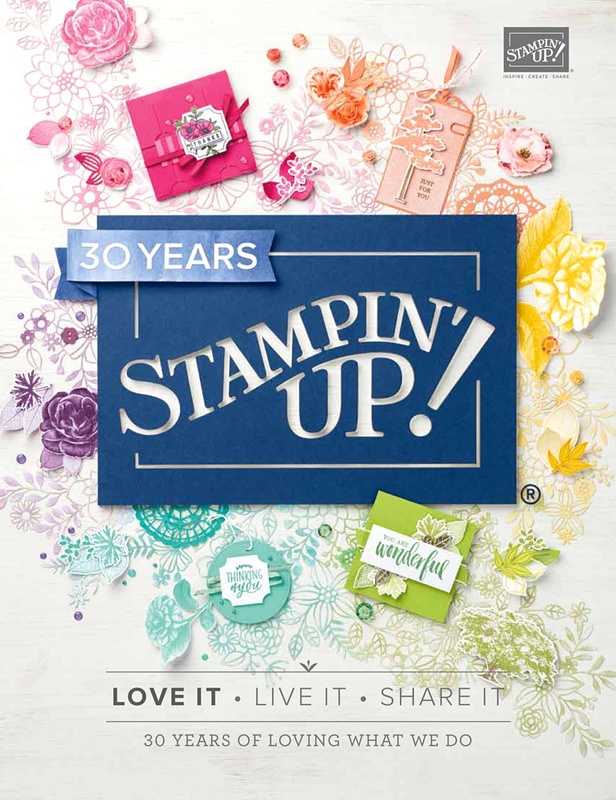 And remember, all order over $200 qualifies for free Stampin’ Up! product! However, I digress. This card all but created itself as the Fresh Prints DSP Stack even suggests for you on the cover what colors could be used with the DSP. How cool is that? 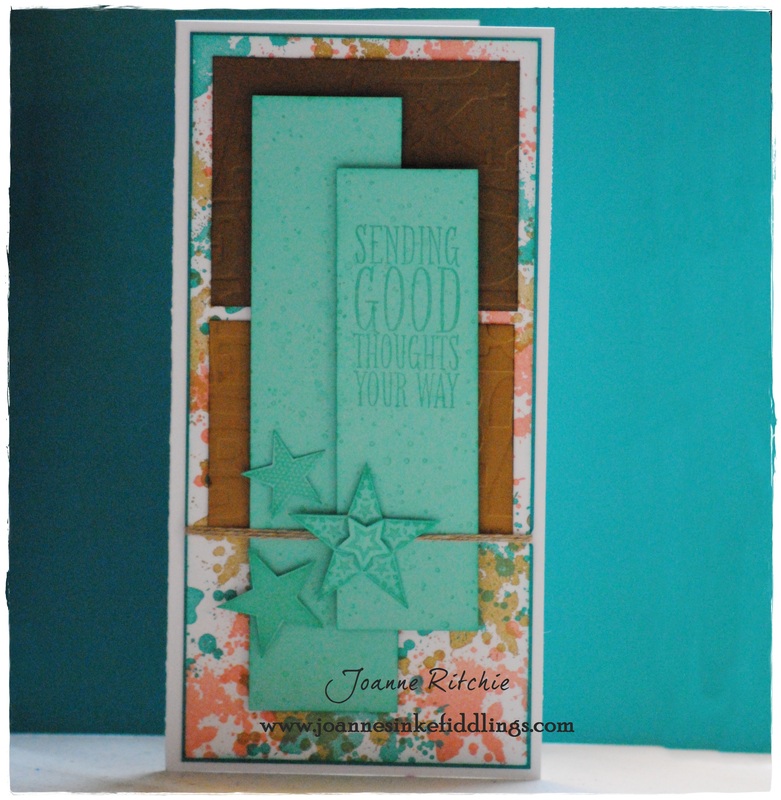 And with the Window Collection Framelits creating a focal point for the stamp, then with the word “bunch” comes flowers so, well, there really wasn’t much to think about after that! 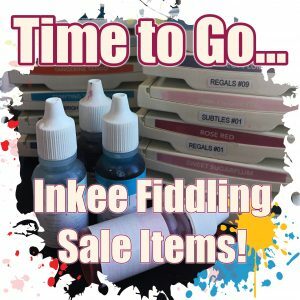 Orders have been coming in to make the most of the Weekly Deals so if you were thinking about placing an order, just to let you know I’m placing an order tomorrow if you’d like yours included. Think about it.